At Captain Towing, we go above and beyond to bring you 24/7 up-to-the-second roadside coverage in Dallas. We’re blessed and lucky to have such a dedicated group of technicians standing tall beside us to assist. We’re also quite stringent when it comes to punctuality. You can expect to see our friendly faces within thirty minutes during rigorous emergency. Prompt communication means the world of difference and we are the best at what we do! We can recharge or replace a dead car battery with ease. Batteries have a tendency to drain out and get depleted rapidly, particularly when the headlights are kept for long durations of time. We always recommend checking each light in the car before exiting the vehicle. A little preventative maintenance sure goes a long way here. We’ll be around for you, nonetheless. We’ll also give you a great quote that will be put directly into writing. Our roadside assistance services in Dallas includes; accident removal, emergency towing, repair flat tires, jumpstart vehicles, dead car battery replacement & recharge, out of gas refueling and 24/7 auto lockout solutions. You don’t have to panic if you’re running near empty on the fuel tank. We’ll stop by your workforce address or remote roadside location to refuel your vehicle. All we need is a brief description of the vehicle model, so we can supply the correct brand and pinpoint it quicker. You’re always receiving the best quality services altogether. Ignition keys can snap in half, especially if force is used to retract them from the cylinder. You should never use a pair of pliers to extract the keys, since you could wind up causing more damages than you had initially bargained for! We’ll safely remove the keys and have them cloned while you wait. We can replicate a Ford F-250 ignition key or Honda Civic key without the slightest bit of hesitation. 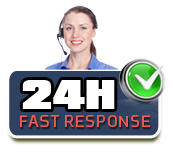 Remember, the faster you contact us, the sooner you’ll be on your way! It’s our pleasure to make sure you get an enjoyable experience from Captain Towing. Your feedback is essential to the growth and success of our company. You can get a better glimpse into who we are by glancing through our collection of satisfied client testimonials. We’re convinced that we can make you another happy customer as well. Pick up the phone 24/7 if you’re in need of emergency roadside help anywhere throughout the city of Dallas.